Yes, the name is to avoid copyright issues. -_- Anyway, this is almost what it would look like if half of your face was evenly corroded with acid/chemicals. 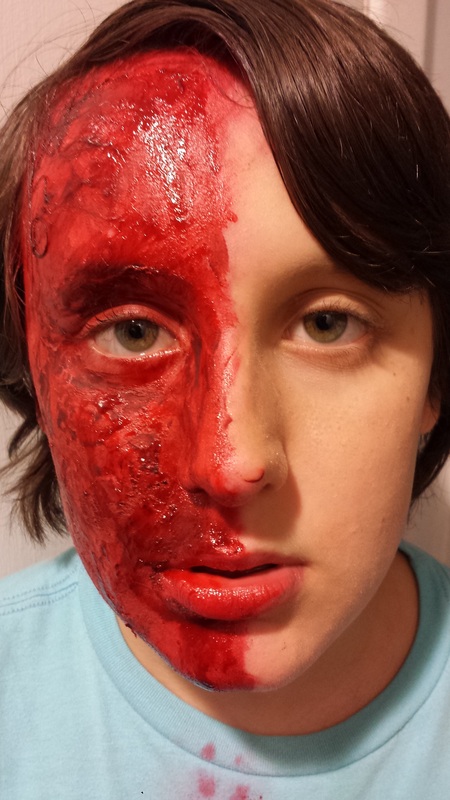 Products used : Foundation (Powder), Fair translucent powder, Red and black creme paints, blood gel and stage blood. This entry was posted in FX Work. Bookmark the permalink. Necrotizing Faceitis (3rd Degree) and End of Season 1.